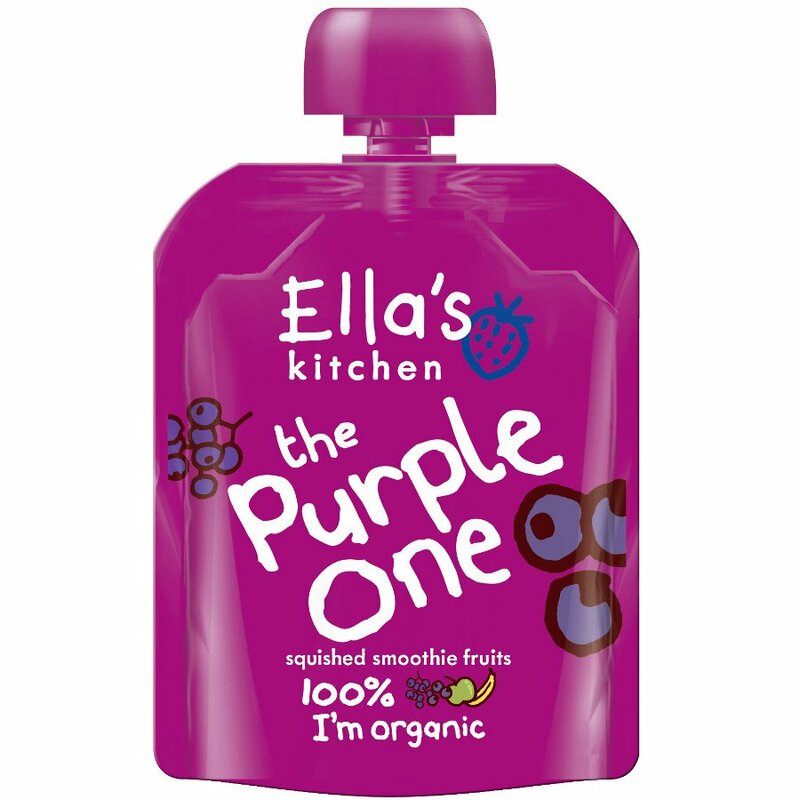 The Purple One from Ella’s Kitchen is a tasty organic fruit smoothie snack which has nothing, absolutely nothing, but 100% organic crushed fruit in it. It is a juicy blend of crushed up organic blackcurrants, blueberries, apples and bananas and nothing else at all, so helps your kids towards their recommended 5 portions of fruit and veg in a day. The Purple One is totally undiluted with water, juices or concentrates, making it perfect to replace less healthy foods in the school lunch box, and also fab slurped at home or used in cooking. Kids love to shake, squeeze and slurp these pouches, whilst you can rest assured that they contain only natural and healthy food. Organic Bananas (48%), Organic Apples (24%), Organic Blackcurrants (15%), Organic Blueberries (13%), Other Stuff (0%). The Ella's Kitchen The Purple One Smoothie Fruit product ethics are indicated below. To learn more about these product ethics and to see related products, follow the links below. My grandaughter (age 3)loves this! 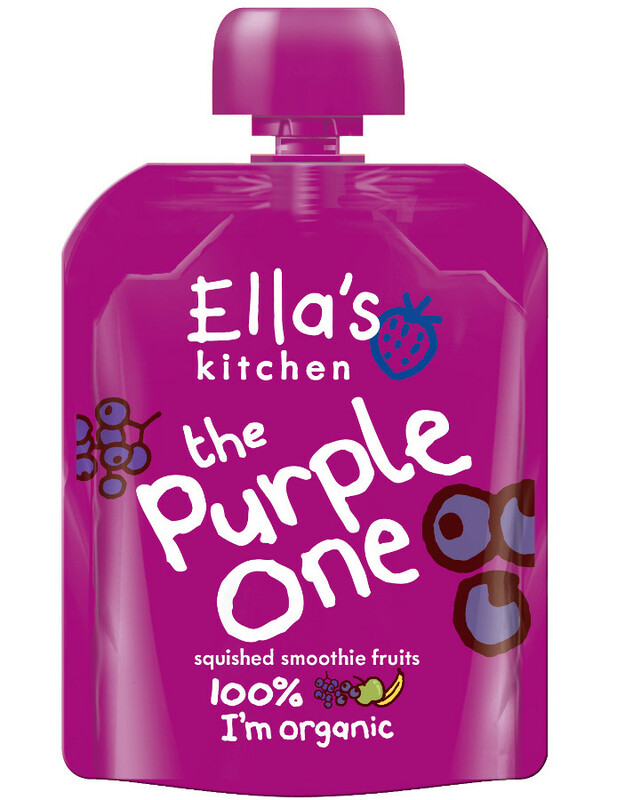 There are currently no questions to display about Ella's Kitchen The Purple One Smoothie Fruit.